How different is Nokia Edge from Samsung Galaxy S7 Edge? 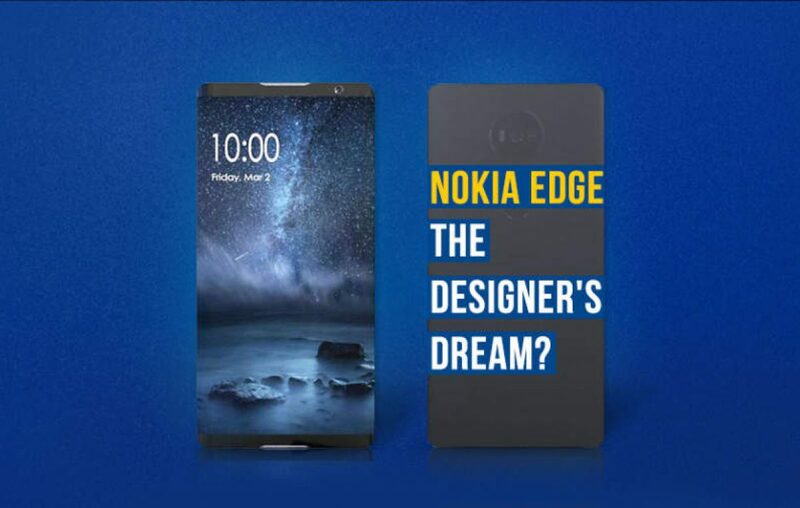 Nokia Edge (virtually) locks horns with Samsung Galaxy S7 Edge! 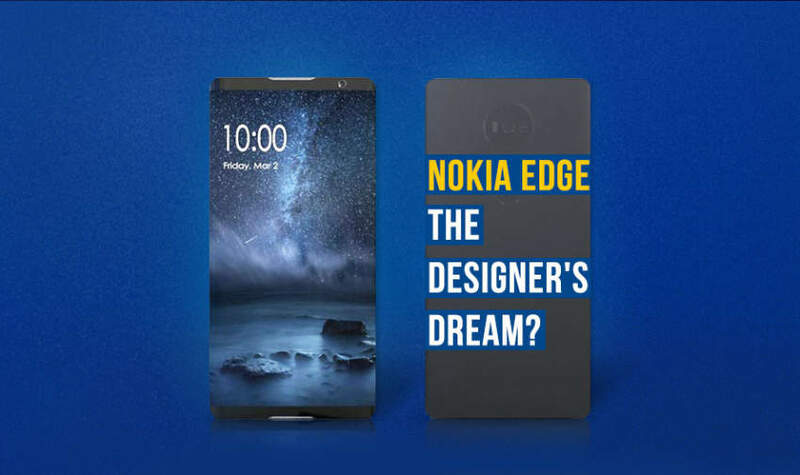 Nokia, the reincarnated king of mobile phones, has announced its upcoming bold concept Nokia Edge. Yes! You guessed it right! Like the Samsung Galaxy Edge phones, this one too is going to have an edgy display. But that’s not all! This Nokia Edge is more advanced, powerful, and looks cooler when compared to the Samsung Edge mobiles. The Galaxy Edge S7 prices at INR 48000 whereas the Nokia Edge 2017 price in India is expected to be at INR 42000. But exactly, when we consider both of them placed under a bigger lens, there is a lot more to discuss. So, let’s go through the bumpy ride. Let’s discuss how Nokia Edge is different from a year old Samsung Galaxy S7 Edge. So instead of going through a standard comparison which would be a boring read, let’s go through each and every round and decide who has done better in each round. Make yourself at home! This will be fun and is going to last a while. This round is completely one sided. As Samsung is the master of displays, this Galaxy S7 Edge comes with a 5.5-inch Super AMOLED display. Whereas, the Nokia Edge is rumored to come with a 5.2-inch IPS LCD Full HD resolution. However, we can’t really write off Nokia Edge here. Although it looks a bit lesser on paper, Nokia is known, with its said celebrated comeback, will make sure you get a sharp and vibrant display at its best. Even then, the Galaxy S7 Edge will make it a cakewalk to the win in this round. The pixel density of the Samsung’s Edge is 534 ppi when compared to that of Nokia Edge, which is 424 ppi. But here’s one thing we should observe. As rumors show, Nokia Edge is not going to or have a minimal top and bottom bezels. This gives Nokia Edge a little more advantage where its display can look much bigger than 5.2 inches and higher in quality. But putting the rumors aside, we pronounce Samsung Galaxy S7 Edge as the winner in this round. Both players reach their respective corners!! Now Nokia Edge will have to give it back. It can’t afford to lose two rounds back to back. So coming to the battery, both phones have 3600mAh Li-ion battery. So it’s a tie? No, sir! If you are a good fighter but comes into the ring with a heavier gear and dress, will you survive long? Rings a bell (no pun!) 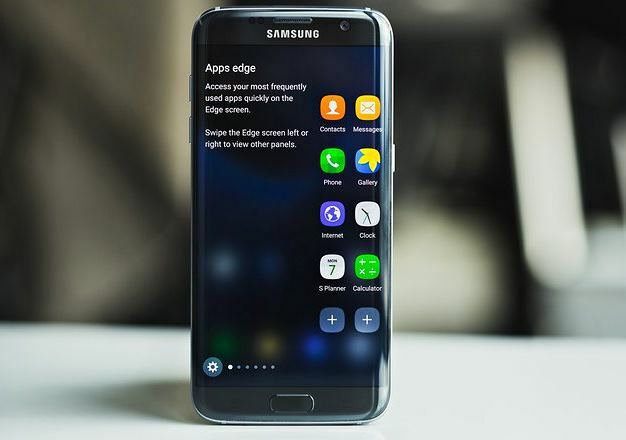 now what’s wrong with Samsung Galaxy S7 Edge? Its vibrant display. With a Super AMOLED display and 2K resolution, the battery of the Galaxy S7 Edge gets vulnerable with time. Also, its Samsung Exynos 8 Octa-core processor is a little low on optimizing the battery usage. Looking like the Nokia Edge is going to win this round. Now comes the opportunity. As Nokia Edge is reportedly coming with a MediaTek MT6755 processor with latest Octa-core SoC and 2.0GHz speed. Well, this is almost equal to Qualcomm Snapdragon’s 635 processor. Also, the Nokia Edge runs on the latest Android OS, v7.0 (Nougat), which automatically optimizes the battery usage. So, escaping a left-hand hook by ducking cleverly, the Nokia Edge gives an uppercut blow to the Samsung Galaxy S7 Edge. Nokia Edge wins the second round. This third round is going to last for a very short time? Guess why? Because Samsung Galaxy S7 Edge is going to bash back the Nokia Edge within no time. With 4GB RAM, 32GB internal memory, and 200GB expandable memory, the Galaxy S7 Edge looks stronger. On the other side, Nokia Edge comes with 3GB RAM, 32GB internal memory with 128GB expandable memory. Both the competitors come close, Galaxy S7 Edge gives three blinding punches back to back and Nokia Edge couldn’t survive it. The bell rings. Samsung Galaxy S7 Edge leads 2-1. Nokia Edge gets back on its feet and gets ready for the final round. It’s a “Win or Go Home” for Nokia Edge now! And hey!! This looks good! Nokia Edge is coming with a 21MP primary camera and a 13MP selfie camera. Samsung dug out looks worried as the Galaxy S7 Edge only possesses a 12MP primary camera and a 5MP selfie camera. This doesn’t look good for Samsung side. The Nokia Edge’s image resolution capability goes up to 5520 x 4140p whereas the Galaxy S7 Edge has 4000 x 3000p image resolution. The Nokia Edge reaches the Galaxy Edge and lands a hard left hook to the body. After that, Nokia unloads a triple combination and a few more uppercuts until the bell rings. Now, you know who’s the winner of this round! It’s 2-2 now and the match has come to end. The umpires and judges gather to tally the highlights of both the phones once more and going to decide the winner. So, the Samsung Galaxy S7 Edge is coming with hybrid SIM slot, where the Nokia Edge isn’t. 1 point to Nokia. S7 Edge’s camera has Optical Image Stabilization. Nokia Edge camera hasn’t. 1 point to Samsung. Even though the usage has been decreased these days, Nokia Edge reportedly comes with an FM Radio. Samsung Galaxy S7 Edge doesn’t have it. Ermmm! 1 point to Nokia. All in all, it was an edgy match. And after all, more than these hypothetical umpires and judges, it is our readers, you, who can come to a conclusion on this. So, which one takes home the belt, cake, and the cherry? Previous article Kechaoda k116 fought against Karbonn K9 Staar! Who wins? Bala writes for bread, writes for pleasure and falls asleep on books. He loves to watch tennis and TV shows when he's not trying to break glasses by over thinking. Also, he strongly believes that dinos and aliens were close buddies. Like Jai and Veeru. Like Red and Andy Dufresne. Karbonn A40 4G – Leapfrog to the Cheapest 4G Smartphone Experience! Honor 7X Vs Xiaomi Mi A1: Who of these deserves your 15k? Huawei P20 Pro: Why do I need triple-lens rear camera setup?